Begin the new year with a sense of hope! Share an initiative aimed at bringing about a little more empathy, tolerance, forgiveness , compassion, inclusion, assistance, solidarity, reconciliation, non-violence or world peace! Do not hesitate to add photos, links or any other information that will help the peace initiative gain greater appreciation. Initiatives which receive about 20 or more supporting comments (about 5 lines of text) will automatically be nominated for the Public Peace Prize. 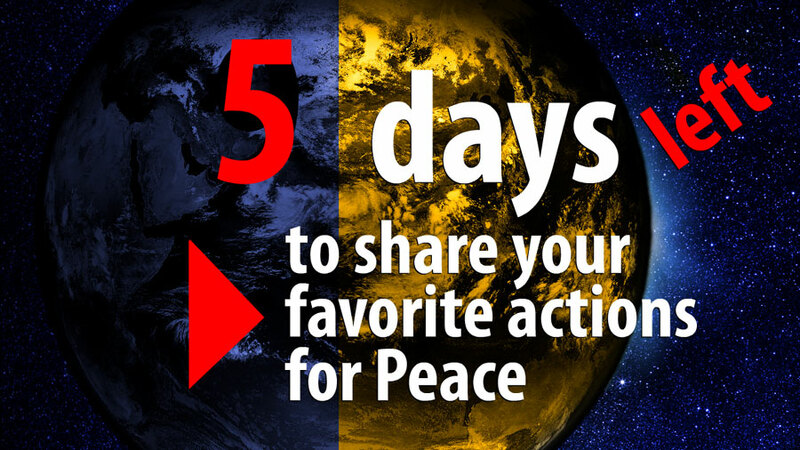 On January 1st 2016, during World Peace Day, as a part of the 24 hours for World Peace, the public is invited to cheer on the initiatives and the candidates for the Public Peace Prize by sending “bravo”, “thank you” or other adjectives showing appreciation and recognition. Like our Facebook page or sign up on the website to stay informed of all the details. ← Suzanne Loiselle – Nominated!